I’ll Never Grow Up–NOT ME. Peter Pan was an icon in our household. My mother was fascinated by the pixie image. Any sprite charismatic characters who were precocious, bright, and agile were her hero/heroines. This explains her desire to make me into Shirley Temple, but that is for another time. We’re here to talk Peter. Peter was a forever child. He never grew up. He was Puer aeternus. (eternal boy) the Scottish author J. M. Barrie created Peter from the memory of his brother who was killed at the age of 14. Barrie was merely six years old a the time of his sibblings death. The sadness and trauma of this loss to his mother left Barrie with a great need to fill the shoes of his older brother. She, in her grief, said she gained solace knowing that her son would always be a child, and thus never leave her. Being the youngest, Barrie took on the roll of his brother, and eventually created Peter as a literary replacement for him. As a young girl, I thought Peter was amazing. The whole concept of this nimble young boy flying into your room to sweep you off to Neverland was an exciting and wondrous thing. Take me away Peter, the drudgery and sadness will be gone, and life will be constant adventures. The Darlings and Tink, and Tiger Lily and the Lost Boys will be our constant companions. We will fight Hook and crock and never once lose a hand. But then you grow up, and Peter stays the same. He has to. It’s not negotiable. You see, if he grows up he can no longer lead the boys. He’s no longer omnipotent. He will grow old. In my life I’ve seen both genders embrace Peter. Our generation has been affected by these fairy tales like no other. I blame Disney. They annihilated the whole Prince Charming/Cinderella happy ending. I wrote about this once. Here is a link to it. I’ve seen both genders model their life after the Pan. It’s as if we felt our ultimate destiny was to hope and wish that magic fairy dust, or the white horse, would bring about our salvation. I can’t decide why my generation found the Micky-ization of our fairy tales so appealing. Maybe it was the colorful cartoon images, or the music and wacky sidekicks. I try to understand the whole take care of me thing, but my parents generation knew these stories as cautionary tales. My end of the line baby boomer generation seems to embrace them as role models. Peter was a sad little boy who never got to be a man. Yes, he could eat what he wanted when he wanted. And yes, he could stay up all night with the guys and then sleep until 3. He had the freedom to fight, laugh, and taunt without much retribution, but that didn’t really make him free. Youthful arrogance and selfishness only turns into narcissism if it’s allowed to age. The world eventually stops revolving around you, even when you stop noticing. So here’s the end game of all this. In a world where school violence is happening on a monthly basis, guns are being toted around like hand bags into fast food joints, and kids are ducking from fists and bullets like Mayflies buzzing around their head; maybe we need to stop ourselves from worrying about growing old. Let’s concentrate on living well. 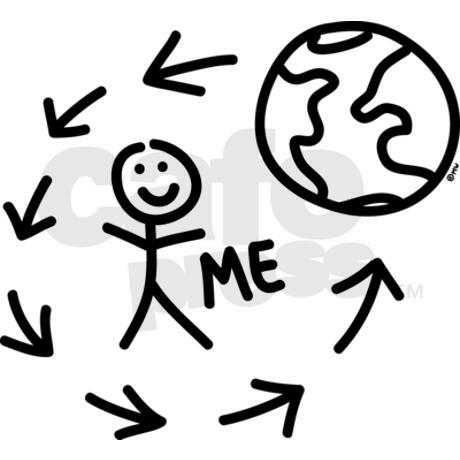 Focusing on ourselves is fine, but living well is different from living like the world is orbiting around us. Life is not to be lived as nothing more than a mirrored reflections of our needs. Peter was a boy who never became a man. Let’s stop being children who never grew up, and become grown-ups who understand what it’s like being a child in this very difficult day and age.